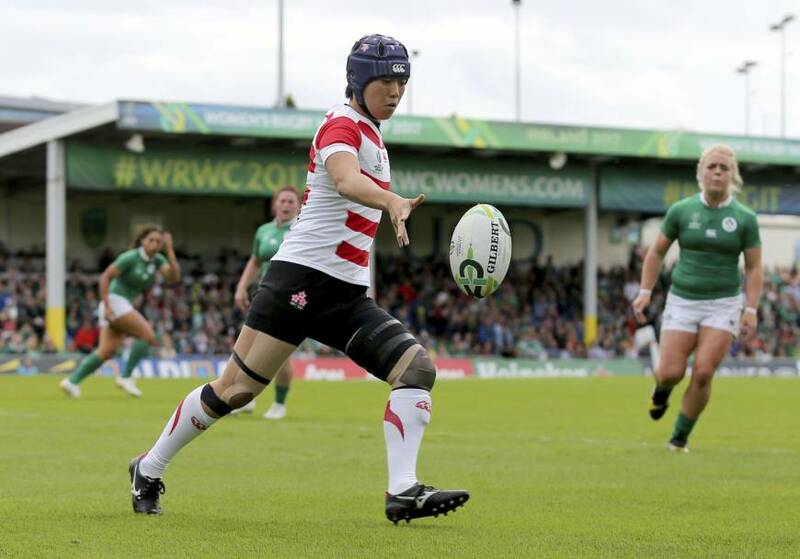 DUBLIN - Japan’s hopes of reaching the Women’s Rugby World Cup semifinals were dashed when it allowed host Ireland to come from behind for a 24-14 victory in a Pool C match on Sunday. Japan dominated territory in the first half and took a 14-0 lead into the break. A 27th-minute penalty try was followed by full-back Mayu Shimizu crossing for the team’s second, which she converted. But Alison Miller ignited a comeback with Ireland’s opening try in the 46th minute at University College Dublin. Nora Stapleton’s boot contributed nine points, including a conversion that leveled the game at 14 apiece, and two tries from second-half replacement Paula Fitzpatrick kept alive Ireland’s chances of advancing along with France, the other undefeated Pool C nation. “Our players went in there eager to win so it’s too bad. There were mistakes in game management. In the first 20 minutes, they all played their hearts out. I feel like we’ve raised the level of our game today,” said Japan coach Goshi Arimizu. 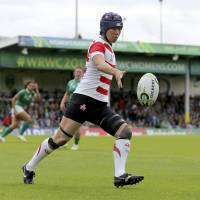 Japan, which lost to France 72-14 in their first match of the tournament on Wednesday, will meet fellow winless team Australia in their group match finale on Aug. 17. In other Pool C play, France beat Australia, ranked sixth in the world, 48-0 to top the pool standings with a 2-0 record and a huge point differential lead over Ireland. Each pool winner and the top-ranked runner-up nation progress to the semis. Japan will compete in the ranking matches to determine the fifth- to 12th-place teams, while the semifinals for the 12-team tournament take place in Belfast on Aug. 22 and final on Aug. 26.